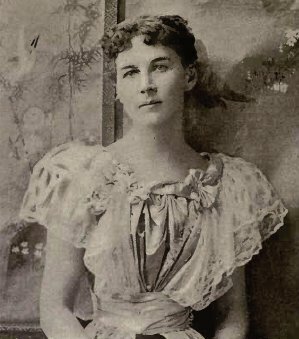 Sara Jeannette Duncan was a Canadian author and journalist. She was called Sara Jeannette Cotes after her marriage to Everard Cotes in 1891, but is most often referred to by her maiden name. Her column at the Toronto Globe and other publications, was under the pseudonym Garth and pen name, Garth Grafton. Born in 1861 in Brantford, Ontario, Duncan first worked there as a schoolteacher before taking up writing journalism as a full-time occupation. Various freelancing work led to her taking her first position at the Washington Post in 1885. In 1886, Duncan made history as the first woman to be hired as a professional journalist in Canada, taking a regular position at the Toronto Globe, now the Globe and Mail. At the Globe, as Garth Grafton, she interviewd Emily Pauline Johnson, a former schoolmate from Brantford. She later moved to the Montreal Star, where she was the paper's Parliamentary correspondent. Duncan's mannered and ironic writing style can be compared to contemporary satirists such as Stephen Leacock and Thomas Carlyle. If you have something of importance to say, for God's sake start at the end.